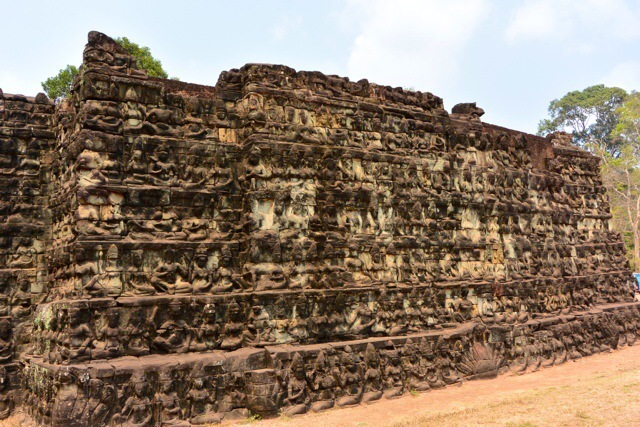 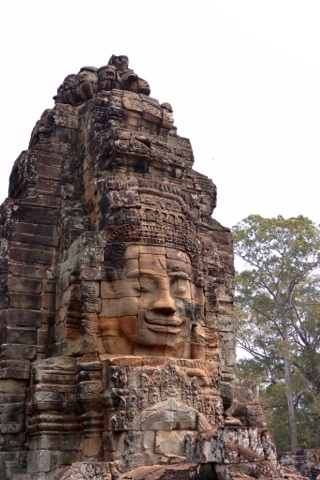 On our final day in Siem Reap we hit two sites I had read about but not yet seen, and I’m glad we managed to fit them in. 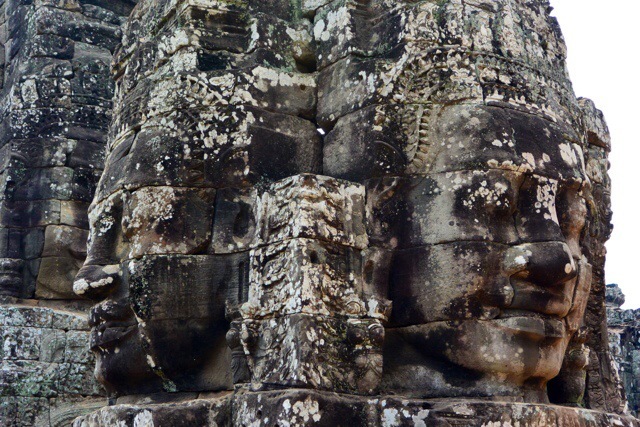 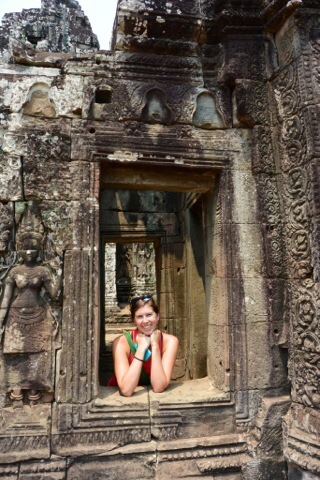 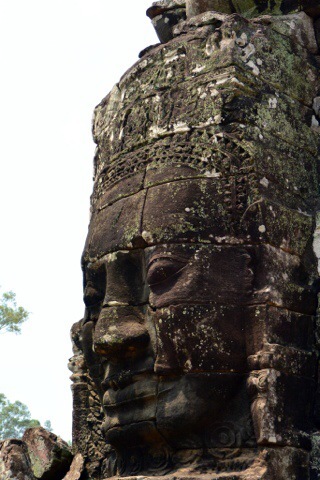 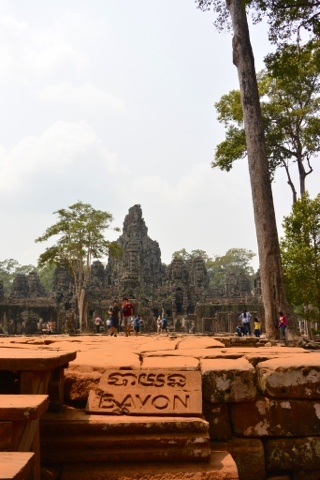 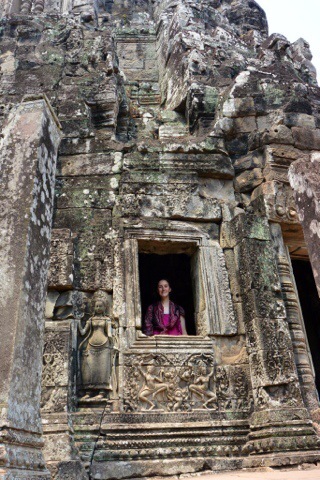 The first, Bayon, was one of my absolute favourites. 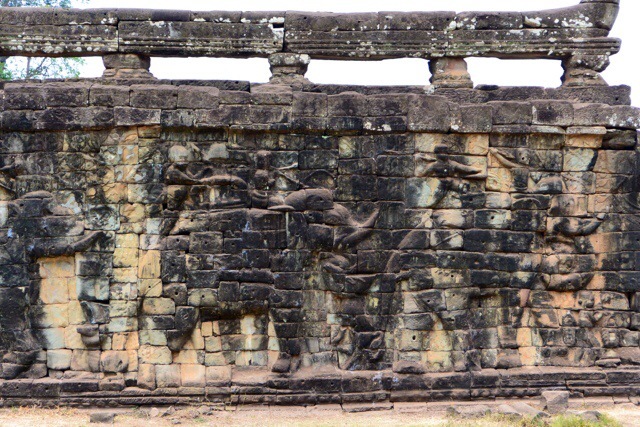 The last stop, the Terrace of the Elephants, was appealing mostly because elephants are my favourite animal, but also because it was a very different section of the temples. 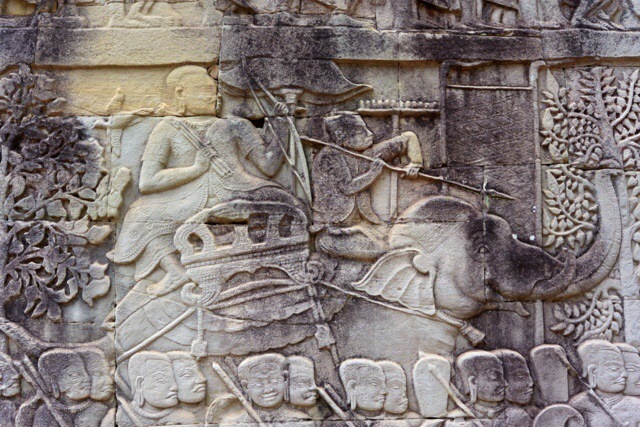 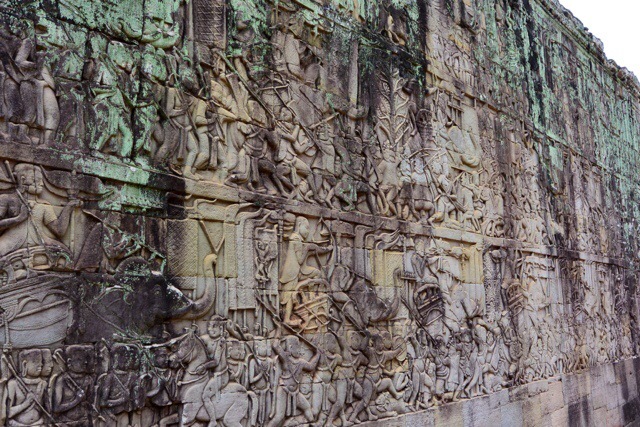 It’s essentially a very fancy walkway, engraved with many elephants, Buddhas, and other figures. 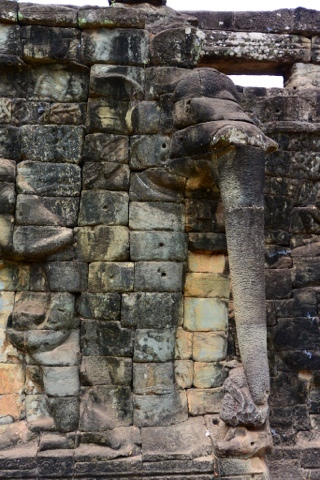 The coolest part is the way the pillars are shaped like elephant trunks!